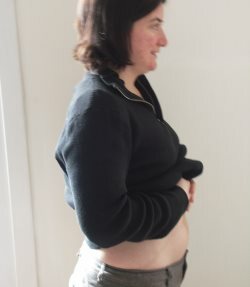 Being 13 Weeks Pregnant - Do You Still Have A Waist? Home > Your Pregnancy > Pregnancy Week By Week > Being 13 Weeks Pregnant – Do You Still Have A Waist? 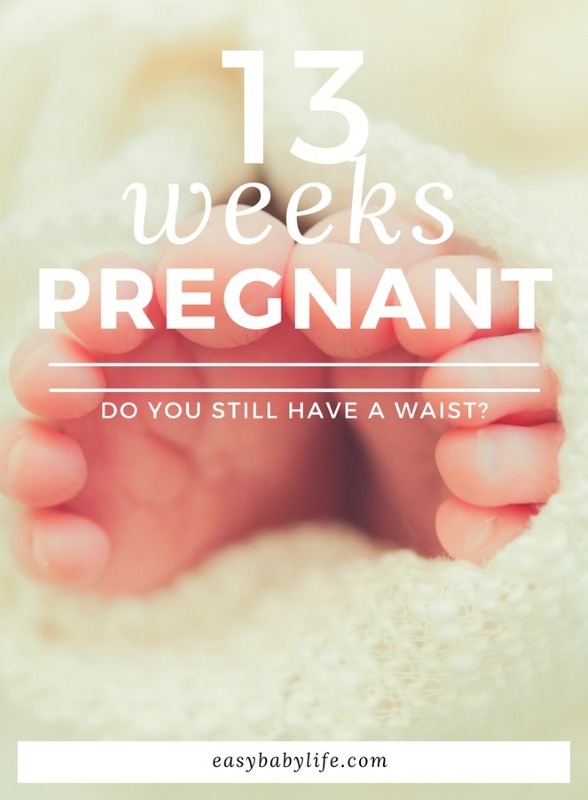 Being 13 Weeks Pregnant – Do You Still Have A Waist? 13 weeks pregnant is a true milestone for many pregnant moms. It sure was for me! Miscarriage risk is going down and the first trimester is coming to an end. Already one third of the pregnancy done. Wow! You have probably also started to put on some weight, and there is more to come. 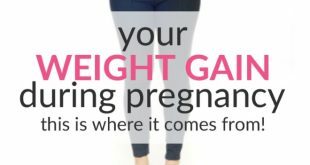 Learn about weight gain during pregnancy here. The fetal age of your baby is now 11 weeks and you are going through the last week of the first trimester. Your baby is now almost 3 inches in length (7.6 cm) and weighs about 0.7 of an ounce (19.8 gram). It is comparable to a peach in length, but looks almost like a miniature version of a newborn baby. Fine hairs are growing on your baby’s body and even eyebrows are growing. Although your little one’s head is still comparatively larger to the rest of the body, his or her eyes and ears are now in the right place of the face. The intestines are now moving further into the body while the pancreas is producing insulin that is necessary for regulating sugar levels in the body later on in life. Few congenital birth defects develop after the 3rd month of pregnancy. For example, spina bifida and cleft palate both develop as early as the fifth or sixth week of pregnancy. The 2nd trimester is sometimes referred to as the “honeymoon stage” since many symptoms from the pregnancy will ease up, energy levels return, along with libido for some women. Some mothers-to-be will find themselves glowing due to the increase in circulation of their body that gives them that attractive pregnancy look. You may start experiencing some muscle aching or cramping due to your abdominal muscles stretching in order to prepare your body for your growing baby. This is referred to as round ligament pain. This can be anywhere from a dull ache in your abdomen to sharp but brief pain and can be relieved by taking it easy and making sure to change your positions when sitting or sleeping. Although your “baby belly” isn’t that large and getting in the way yet, soon you will be able to see exactly how much the muscles can stretch to accommodate your growing baby. For some women, their breasts are changing in shape and beginning to produce colostrum, which is the nutrient-rich fluid that will feed your baby in the first few days after birth before your regular breast milk is produced. You may still feel some discomfort in your breasts, and even lumpiness from the developing mammary glands, but that will subside periodically as well. You may find an increase in heartburn due to the stomach acids traveling back up your food pipe. Help alleviate these symptoms by eating smaller, more frequent meals that include a balanced diet rather than greasy, fried foods. 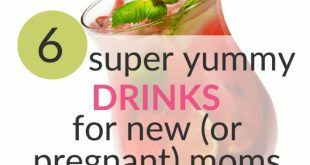 Which pregnancy body changes are you experiencing? Vote in our pregnancy body changes poll and compare with other moms. A baby registry is fun! Amazon has one of the best (You can also check out this post with a number of different baby registries to check out. What to Expect When You’re Expecting The best-ever selling pregnancy book came out in a new edition in May 2016. Beachcoco Women’s Maternity Fold Over Comfortable Lounge Pants It might be time for your first maternity pants. These are cheap, soft and work well already in the first and second trimesters. What a week! First I experienced some spotting and totally freaked out. Had an emergency ultrasound. My baby was fine! 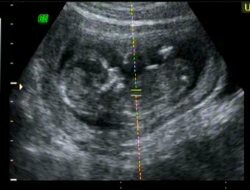 Three days later, it was time for my nuchal fold screening test. The risk for Down’s syndrome is very low – 1 in over 3000. Wonderful! Are you also 13 weeks pregnant? Please share your experiences and thoughts by leaving a comment below!